Opening your trading account with Titan Trade is fast, simple and most importantly, free. What you need to provide is the basic information about yourself so that we can setup your trading account as quickly as possible. Our registration process takes only a few minutes to complete. Once your account is open and confirmed, you will be paired with a professional account manager who will assist you in developing a trading strategy that will be calibrated for your trades. Titan Trade getting started is fun and easy, so go ahead, open your account today and get the most out of your investments! Our funding process was designed to be as easy and prompt as our registration process. Once your account is open and confirmed, the next step to do is to deposit funds into your Titan Trade account. You can use any Visa or MasterCard credit or debit card, electronic wallet such as PayPal, Ukash or Moneybookers, or wire transfer. Deposits via credit/debit cards or electronic wallet are instant and are credited to your account balance right away, while deposits made via wire transfer take additional time to be processed. You have opened your Titan Trade trading account, you have made a deposit, now it’s time to trade binary options! Enjoy a wide selection of assets to trade on, record high payouts, secure and powerful trading platform and the best trader support. Make sure to visit our YouTube channel for the latest video tutorials as well as our live news feeds for the hottest financial news. Should you have any questions or concerns, feel free to contact our friendly multilingual specialists to provide you with expert assistance. You can reach us via online live chat, phone and e-mail. New to Titan Trade? 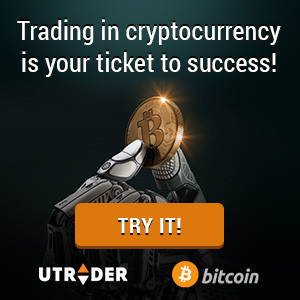 Click here to get your trading career started!